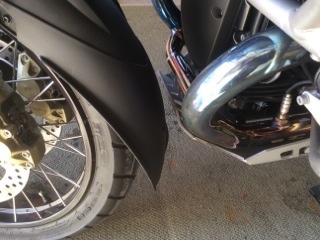 “I have the MudSling and the Avant12 front fender extender. I had a 2009 BMW GSA and just picked up a new GSA 2 weeks ago and transferred them over. I just completed 4600km across Wales, England, France, Belgium etc on everything from Motorways to single track roads. It rained – it rained a lot. 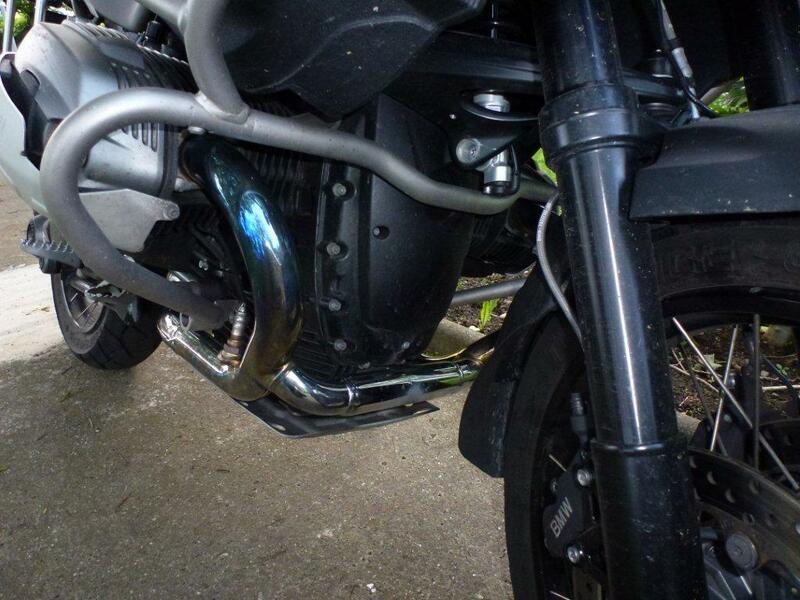 I couldn’t believe it when I had a look at the cross pipe on the exhaust. The Avant 12GS for the 2005~2012 GS and 2013 GS/A models fits with AltRider’s skid plate. So far, the only aftermarket plate we are awareof that does not fit with the Avant 12GS is made by Black Dog.